In this review of the Yamaha CBR10 we are going to covering 5 important areas which include key features, what we like, pros and cons, who is this product best suited to and what customers who have bought the speaker are saying about it. 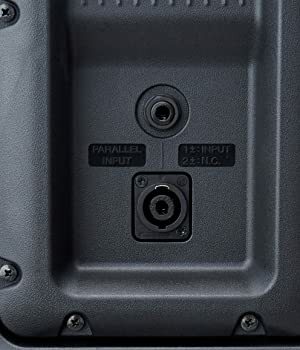 Since this speaker has speakON connectors instead of old binding post inputs or screw terminal inputs, you can make full use of these benefits. Wide Coverage – This passive speaker offers a wide dispersion that is right up there with the coverage of the best products that Yamaha has to offer. The unit is fitted with a newly designed wide-dispersion horn that minimizes radiation pattern deterioration and disperses sound in a rectangular pattern to evenly cover an entire area. The design allows for a horizontal coverage of 90 degrees and vertical coverage of 60 degrees. The speaker’s smart form factor will enable you to use it as a floor wedge with a 50-degree wedge angle, front of house speaker or rigged configurations. The wider wedge angle makes this unit ideal as a monitor speaker, as the sound waves travel straight to the performer’s ears. With other products, the sound waves will travel too low to the ground. High-end Enclosure – The speaker is protected by plastic enclosure material that is lightweight but rugged. The cabinet offers sufficient protection against blows and bumps. The cabinet also features a standard-sized pole mount and three M10 fly points to allow for front of house use on stands and permanent overhead installation. With a size of 19.4” x 12.1” x 11.4”, it is compact and weighs a mere 20.7 lbs, which makes transportation, setup, and installation a walk in the park. HF Protection – Since this speaker is passive, there is a chance that your amplifier’s power output may be too high for this model’s power requirement. The good news is that models in the CBR series feature an HF protection circuit that limits input and protects it from damage when you crank up the amp. So, if you suddenly have to operate at a higher output, you can rest assured that your HF driver is protected. Responsive LF Unit – A common source of frustration with passive speakers is that you have to turn up the volume to experience those great bass frequencies. However, the Yamaha CBR10 has a responsive low-frequency driver that delivers a warm, clear output – even at low sound pressure levels. Compact and Portable – Speakers with 10” drivers and 350W Continuous Power ratings are typically used in intimate settings and small venues. If you use heavy and bulky speakers in these environments, they can have an overwhelming presence. This passive speaker from Yamaha is sufficiently compact and lightweight to be used in small and overcrowded venues without appearing too large. Their size and weight also make them easy and quick to set up. Since it is a passive speaker, it only requires a speaker cable connection to the powered amplifier, and you don’t have to run power cabling to the unit itself. The result is a clean, straightforward, and quick setup. 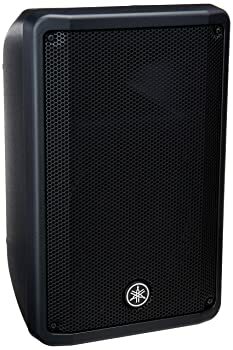 Due to the speaker’s driver sizes and output capacity, it’s suitable for use in small to mid-sized venues by bands, wedding DJs, sound hiring companies, or solo artists. Because of the unit’s responsive low-frequency components, it’s ideal for entertainers or sound professionals who require high-quality audio at low volumes. The product is also suitable for performers as a monitor speaker. The enclosure has a high wedge angle, and since it requires only one connecting speaker cable, the rear panel that faces the crowd will look neat and tidy. Sound professionals that operate alone will also benefit from the speaker’s light weight and compact design. Durable Enclosure – Customers who have experience with bumps and drops say that it is rugged and that it offers complete protection to the unit’s transducers and other component. Functional Speaker Cover – Sound professionals who sometimes provide sound support in outdoor or humid conditions found the functional speaker cover that is sold separately to be worth its weight in gold, primarily since it protects the speaker without inhibiting its audio delivery. Great Sound Quality – Many reviewers note that the speaker delivers warm and clean audio at all volumes and environments, including outdoor and crowded settings. Amplifier Match – Some reviewers had difficulty finding an amplifier with power output and impedance that matches the requirements of this speaker. This basic passive speaker system from Yamaha has a lot to offer, especially in terms of quality and versatility. If you are looking for a reliable, high-performing speaker set to provide sound support to events in small and mid-sized venues, look no further than the Yamaha CBR10 with its extensive nominal horizontal and vertical coverage. The speaker offers simple connectivity, mobility, and several mounting options. Since it has low maintenance requirements, a rugged design, and a light weight design, it is the perfect speaker for a long-term flying installation.